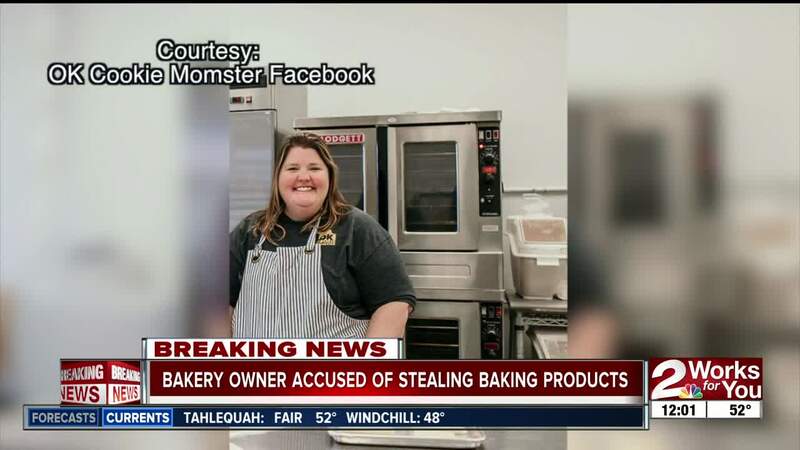 TULSA — The owner of a popular Tulsa bakery was arrested after she was accused of stealing baking products. Libby Morley, who also goes by Lauren Morley and Lauren Beesley, was taken to jail March 25 for felony larceny. She is accused of stealing about $2,200 worth of butter, vanilla, chocolate chips and cream cheese from Sam's Club. An affidavit said on Nov. 2, an employee of Sam's club on 44th and Sheridan noticed Morley with 24 bottles of vanilla on her flatbed. The document said the employee noticed she was acting suspicious. After checking purchase history, the club reported to police they did not sell 24 bottles of vanilla that week. An internal investigation was launched within the store and found several other incidents where Morley did not pay, according to the affidavit. From Oct. 8 until Nov. 12, the store said she "did not make an effort to pay for the items and passed operational registers as she left the location." Throughout that period of time, the affidavit said she stole a total of 126 packages of butter, nine bags of chocolate chips, nine packages of cream cheese and 24 bottles of vanilla. Morley issued a statement through her public relations firm saying, "I deny the allegations against me. This is a misunderstanding. I'm working to clear my name." The OK Cookie Momster has been in business since 2013 and moved into its 31st and Harvard location in 2016. The bakery now has a second location in the Mother Road Market. We reached out to the developers, the Lobeck Taylor Foundation, and are waiting to hear back. Morley entered a plea of not guilty and is due back in court on April 30.